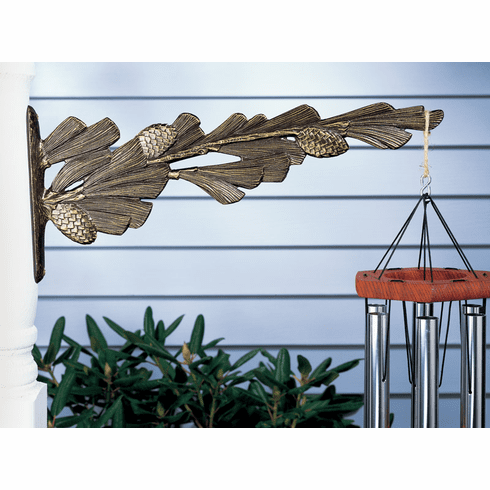 Our nature design hangers are the perfect addition to hang plants, bird houses, chimes and more. This Pinecone designed hanger is made from rust-free aluminum and will stand up to the harshest of weather conditions. Color choices are: French Bronze, Copper Verdi and Oil Rub Bronze (see inset).